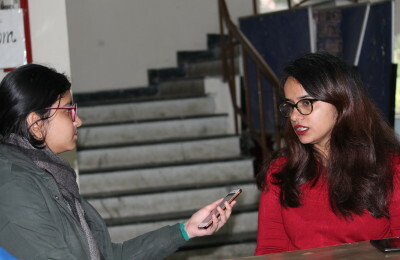 Innovation projects, an undergraduate research initiative by Delhi University witnesses a plethora of project entries from different colleges each year. One of the many Innovation Projects for the session of 2015-2016 approved by the University of Delhi is an assessment of Pradhan Mantri Jhan Dhan Yojana and the need for financial inclusion. The project titled ‘Jan Dhan Yojana and Financial Inclusion’, the aim of the project is to study how financial inclusion broadens the resource base of the financial system by encouraging a culture of savings among large segment of rural population. The Pradhan Mantri Jan Dhan Yojana was announced by Prime Minister Narendra Modi on 15 August 2014. This is a National Mission on Financial Inclusion encompassing an integrated approach to bring about comprehensive financial inclusion of all the households in the country. The project has a pan Indian character as it covers the five states of Delhi NCR, Bihar, Jharkhand, Himachal Pradesh and Gujarat. The project aims to study the present scenario of financial inclusion of rural and urban households and assess the major factors affecting the implementation of PMJDY and its implications. It seeks to provide incentives to business and banking correspondents who serve as a link for the last mile between savings account holders as the bank by fixing a minimum monthly reward of Rs. 5000. Some special features include interest on deposit, provision of overdraft facility, no minimum balance required, life insurance cover of 30,000 for customers till 26 January 2016, beneficiaries of Government Schemes will get Direct Benefit Transfer in these accounts and access to pension, Rupay Debit Card and insurance products. The project is being carried out under the leadership of Principal investigator, Dr. Manoj Kumar Sinha and Co-investigators including- Dr. Giridhar Gopal Sharma, Dr. Abhay Prasad Singh, Dr. Rajni Jagota, Mr. Chhetan Chhoidub. Some of the students involved in the project are SVD Chandrasekhar, Aakash Trivedi, Mohammad Zohaib Belal, Kapil Lamba, Tavishi Gupta, Sneh Yadav, Manit Aggarwal, Pooja Aghi, Srishti Puri and Yash Gupta.